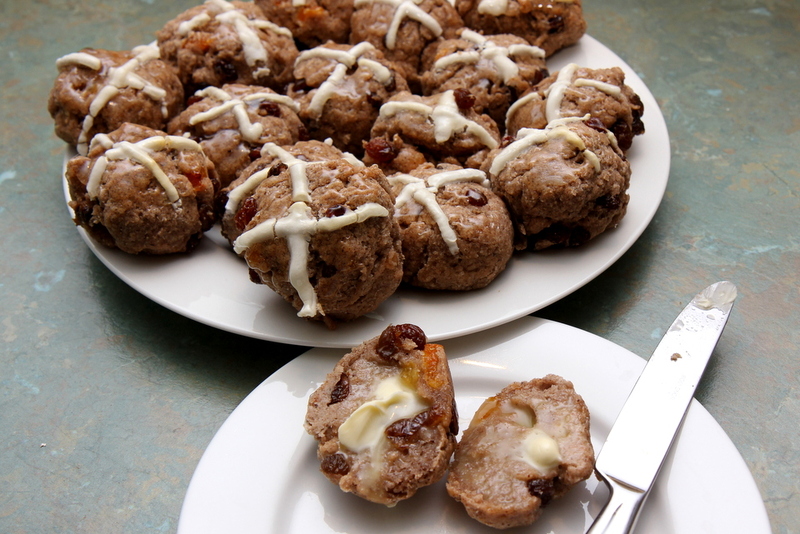 Easter is pretty special – a time for us to celebrate Jesus’ death and resurrection, and as with most celebrations, there is special food to go along with it. Sadly, when you have food allergies it can feel like you miss out on the food part of some of these special celebrations … but not this year in our house!! There are a lot of ingredients and it does take a little while – but the result is most definitely worth it, lovely and dense and none of your typical gluten-free crumble! In the large bowl of your mixer, add together the flours, gums, sugar, salt, yeast and spices and set aside. In a saucepan place the coconut cream, water, vinegar and nuttelex. Cook over a low heat for about 2-3 minutes. You do not want to mixture to boil, it only needs to reach 37 degrees C (a candy thermometer is helpful here). Add the well beaten ‘no egg’ mixture (or aquafaba) to the wet mix in the saucepan and whisk until well combined. Add the wet mixture, zest and dried fruit to the dry mix and mix until well combined. Use about a heaped tablespoon of mix and place them in a lined baking dish. Then leave in a warm place for about 30-40 minutes to rise. They don’t rise hugely. Just a little bit excited by her first taste!! Heat the oven to 200C while they rise. 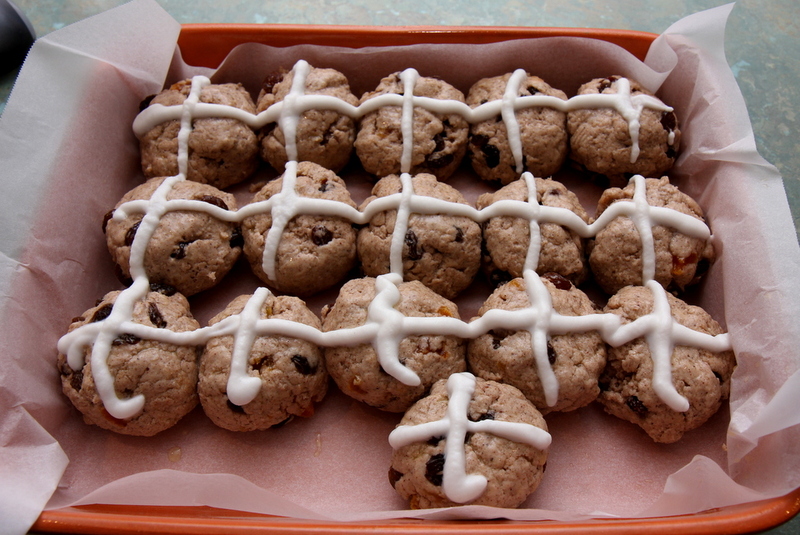 To make the icing crosses, I used 3 tbsp of pure corn flour, mixed together with about 4 1/2 tbsp water. I don’t have a piping bag, so I used a freezer bag with the corner cut off. Before placing them in the oven, brush the tops with the melted Nuttelex – it helps to give a lovely golden shine. Bake for about 30 minutes, or until golden all over. Then as they came out of the oven I brushed their tops with a sugar syrup (1/4 cup sugar and 1/4 water brought to the boil and simmered while it reduced for 5 minutes … don’t reduce for too much longer or it’ll be too sticky). Best served warm with some Nuttelex. This mix made 16 buns which I froze once we’d all had one (or maybe two! )… mainly to stop myself from continuing to eat them all 😉 They have defrosted and rewarmed well. 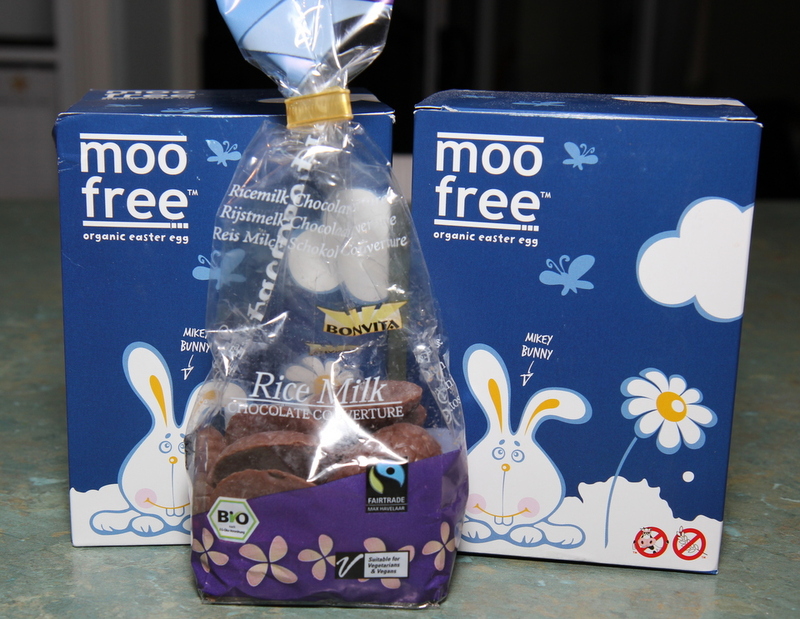 (They are organic and Fair Trade too!). I ordered mine online from BioMed Cafe. Hope that you enjoy these treats as we remember our new life in Christ over Easter!